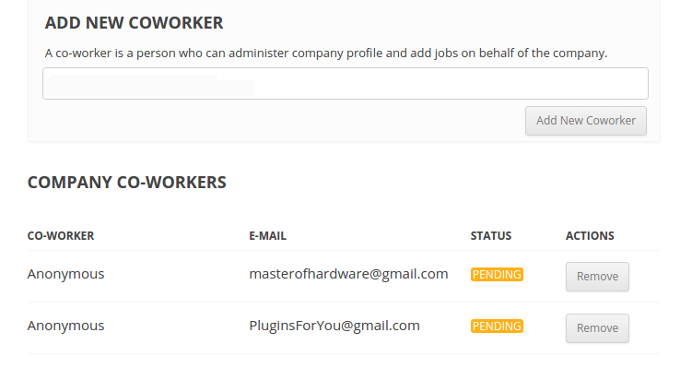 Employee Manager is a plugin which allows Employers to add employees (or managers) to their accounts. 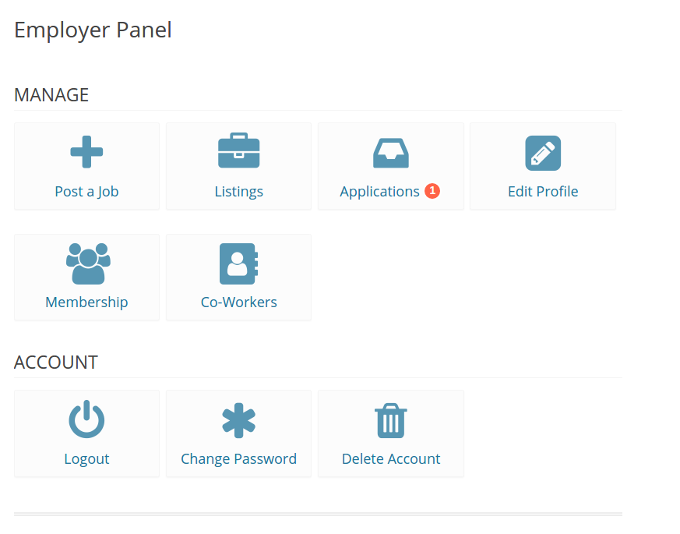 The added users can manage Employer profile, jobs and applications while being logged into their own account. Go to Co-Workes panel and you will see a window where you can add your employee. If you will no longer want an employee to manage your Company account, you can remove him from co-workers list by clicking “Remove” button. Your employee will receive a verification message to provided email address. You can change the text in verification emails, to do that go to wp-admin / Settings (WPJB) / Emails / Other Emails. If he will verify and login to the website he will see Employer Panel and information about successful verification. When you go again to “Co-Workes” panel you will see the verified employee status changed. 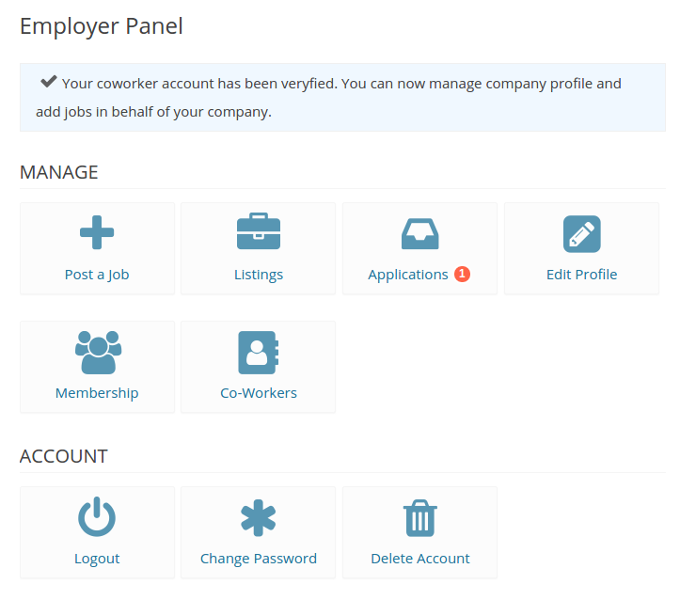 Now your employee has the same permissions as you, he will be able to post jobs, edit company profile, manage job and applications and purchase memberships. Glad to see this is up and running! However, where is the download link for it?